The two leaders gave each other an enthusiastic greeting before sitting next to each other during a working lunch. VietPress USA (Dec. 1st, 2018): During recent months both Saudi Arabian Crown Prince Mohammed bin Salman and Russian President Vladimir Putin have been isolated from almost countries of the World for their criminal activities. Crown prince Salman, de facto ruler of Saudi Arabia ordered to assassinate journalist Jamal Khashoggi on Oct. 2nd 2018 inside the Saudi Arabian Consulate in Istanbul then dismembered his body. President Vladimir Putin of Russia on last Sunday, Nov. 25, 2018, ordered Russian Navy to shoot and captured 3 vessels of Ukraine, injured 6 Ukrainian sailors and hold 20 other sailors. But the two seemed to be enjoying each other’s company Friday at the G-20 summit in Buenos Aires. They embraced each other with big smiles and a cross between a high five and handshake. 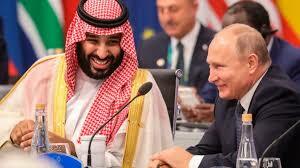 Leaders from across the globe are gathering in Argentina for the G20 summit in Buenos Aires, and none seemed more excited to be there than Russian President Vladimir Putin and Saudi Crown Prince Mohammed bin Salman. The interaction comes as world leaders prepare to “zero in” on the crown prince for his alleged involvement in the murder of Saudi journalist Jamal Khashoggi, who was employed by the Washington Post. Argentinian President Mauricio Macri made it very clear that Khashoggi’s death and the involvement by the crown prince were “on the table for discussion” at the summit. “I am intending to speak with the crown prince of Saudi Arabia. The message that I give will be very clear…on this issue of Jamal Khashoggi but also on the issue of Yemen,” she told reporters. 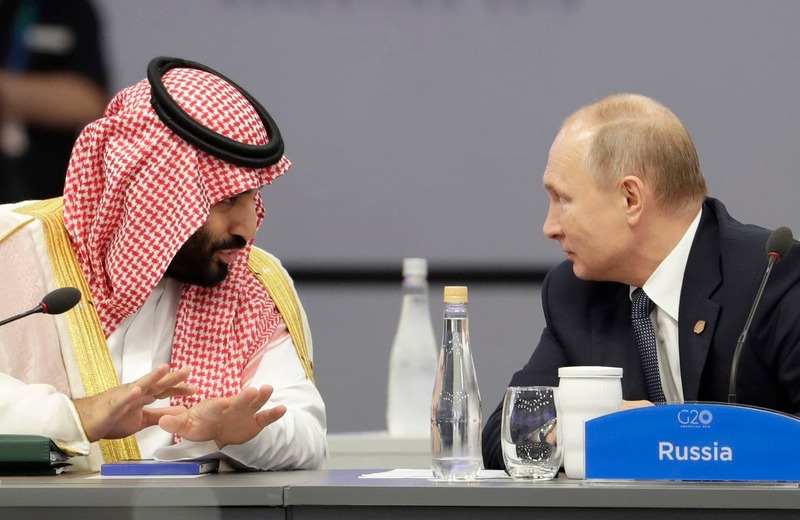 While a number of leaders have condemned bin Salman and Saudi Arabia for the crime, Putin, Business Insider noted, has refused to publicly place blame on the crown prince. “We do not know what happened in reality. So why should we undertake any steps to deteriorate our relations with Saudi Arabia?” he reportedly said last month, instead turning the blame on to the United States. President Trump has expressed a similar attitude to Putin’s in terms of placing blame on Mohammed bin Salman.